Style: Pink Clove Jumpsuit - Two Ways to Wear. 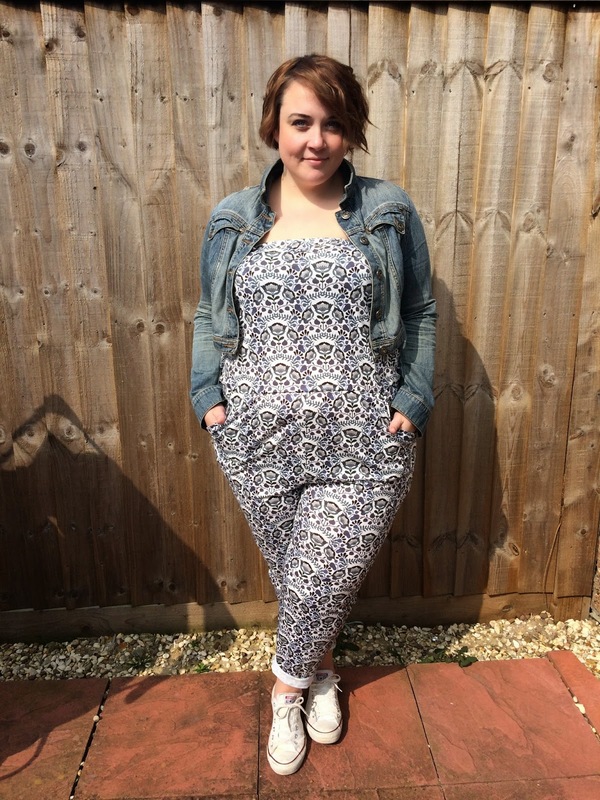 Forever extolling the virtues of the jumpsuit, I thought I'd show you how flexible they can be. When I saw the sun was shining this morning I knew I wanted to wear this Bandeau Jumpsuit from Pink Clove, but my modest styling for running few errands wasn't really going to do it justice. 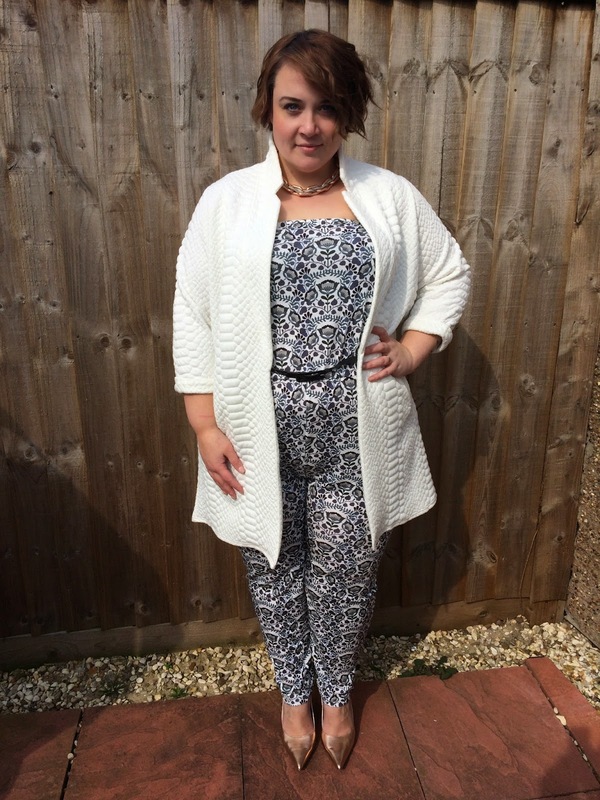 So before I popped out I wanted to show you how I'd style it for an evening out and then how I actually wore it. So for the evening look I styled it with this gorgeous white jacket, metallic pointy heels and chunky rose gold chain. The belt came with the jumpsuit and I'm happy to say, it actually does fit! This would look equally great with a black tuxedo style jacket or any contrasting duster style jacket for example. I love mixing blues and greys with lime too, so maybe something in that colour way. How I actually wore it, probably quite predictably was with my denim jacket and white cons. I removed the belt and rolled up the bottoms to emphasise the more casual look. 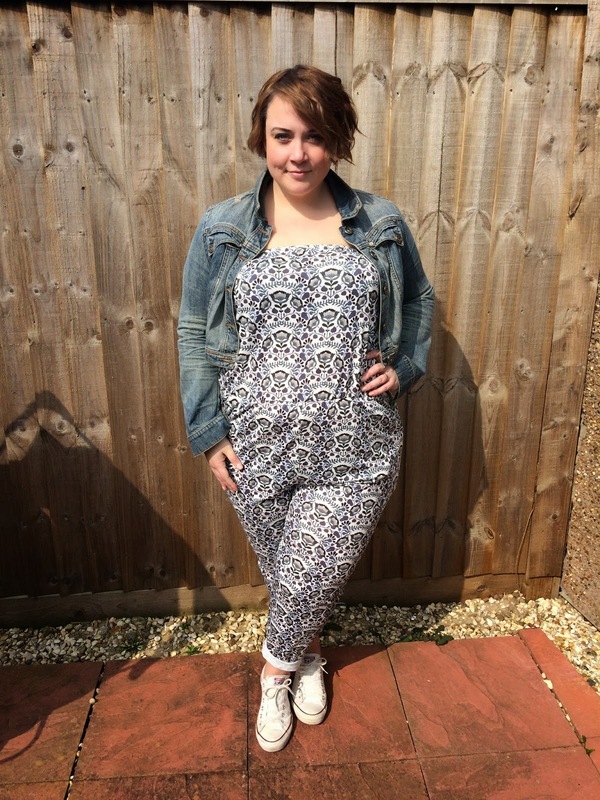 I love the print on this jumpsuit and the soft jersey is perfect for the summer. It's breathable and lightweight. The stretch fabric is great for running around, playing with kids, or simply climbing over the bench in the beer garden at the pub! Swap out the cons for some some sandals and lose the denim jacket when it really heats up! I'm wearing the size 22 and found it true to size. It's really stretchy and roomy though, so if they don't have your size or you prefer a tighter fit then by all means size down. 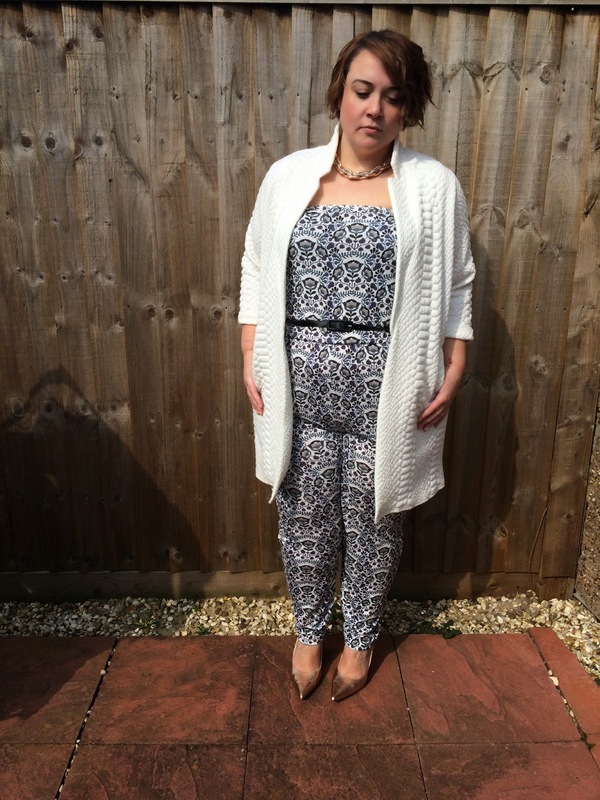 I don't think I'll ever bore of the jumpsuit, you'll find me in the nursing home when I'm 80 wearing one underneath my cardi with my slippers! I've got another gorgeous piece from Pink Clove which I'll be blogging over the next week so keep your eyes peeled for that. Looks fantastic on you. I tried on a really similar one at George today and I thought it might be the one. Alas I looked like a teletubby (and not in a good way).